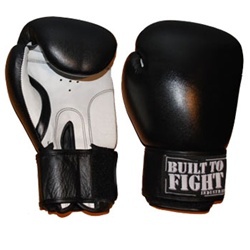 New from Built 2 Fight, the Built 2 Fight Thai Style Boxing Gloves! The Built 2 Fight Thai Style Boxing Gloves are derived from the traditional Thai form of glove that offers a great fit. Featuring 2 inches of foam padding laid evenly across the glove that ensures hand and knuckle protection, and a wide hook and loop strap system for the wrist protection of the Built 2 Fight Thai Style Boxing Gloves. The Built 2 Fight Thai Style Boxing Gloves are definitely suited for your sparring and padwork needs. Definitely give the Built 2 Fight Thai Style Boxing Gloves, they’re available at Carnal DaMMAge.